LONDON - SodaStream, the DIY carbonated drinks brand, has appointed Miles Calcraft Briginshaw Duffy to handle its advertising account. MCBD picked up the business following a pitch against undisclosed agencies, and will now be given the task of relaunching the product in the UK. The activity will aim to communicate the product innovations to a new generation of Soda Stream users, and also encourage mothers, who may have used the original 80s machine as a child, to use the new and improved Soda Stream with their own families. Soda Club, the owner of SodaStream, has attempted to re-launch the product in the UK on a number of occasions in recent years, but has as yet struggled to re-establish the brand in the UK market. The most recent effort came in 2008 with a launch supported by an advertising campaign by Ware Anthony Rust. Last year SodaStream launched a digital campaign that played on the brand's nostalgic credentials. 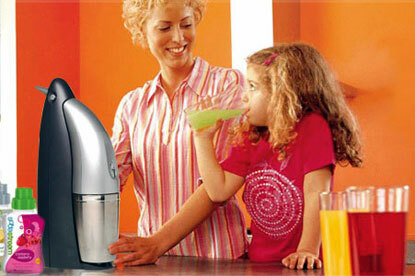 The work carried the strapline "get busy with the fizzy", which was first used by SodaStream in the 1980s.